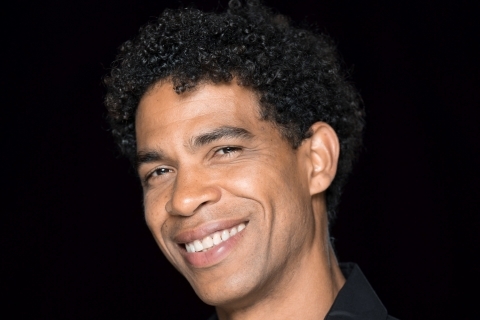 Birmingham Royal Ballet has announced that its new director in succession to David Bintley is to be former Royal Ballet star, Carlos Acosta. He will take up his appointment in January 2020, six months later than originally envisaged when the company’s search for a new leader was announced. His arrival will follow that or new chief executive, Caroline Miller, who was appointed on a permanent basis just before Christmas. It would be fair to say that I didn’t see that one coming! But equally, this could turn out to be an inspired appointment. Acosta’s track record indicates someone who can bring vibrancy back to Birmingham and a fresh, more contemporary outlook without ditching the huge history and tradition that the company has. There has been a bit of a feeling for a while that Birmingham Royal Ballet has been slumbering a little. As a company, it has undoubtedly been overtaken by English National Ballet, and in some ways by Northern Ballet too. There is the new Ballet Now project, which, if Juanjo Arques’ Ignite is anything to go by will perk things up, but in recent years the repertory has got increasingly safe and rather predictable with what seems to be an increasing diet of supposedly family-appealing full-lengths. While that’s understandable given the present financial strictures the arts generally are under, it comes with risks too. Birmingham Royal Ballet jealously guards its English heritage: the Ashton, MacMillan, Wright and Bintley. But does that mean everything else should be ignored? It is high time Birmingham audiences saw something of what is happening elsewhere in the ballet world; and trust me, a lot is happening. Ballet is moving on. Something needs to happen, because audiences are certainly in decline. I hear comments about Birmingham balletgoers not wanting a more contemporary programme (funny how a Forsythe full-length did well at the International Dance Festival Birmingham a few years ago). The problem is that too many of them don’t seem to want the existing diet either. Some recent performances of La Fille mal gardée saw the Hippodrome less than one-third full. That is unsustainable. On the subject of repertory, what happens to the vast Bintley repertory is a good question. Like most people, there are ballets I wouldn’t be too unhappy at being at least put in the drawer for a while, but there are others I would not want to see disappear. A fresh look at programming generally wouldn’t come amiss either. If there is not the audience for four or five days of a single mixed bill, and it certainly seems not, why not two mixed bills in the same week? Why not mix triple-bills and full-lengths in the same week? Look at Europe and other companies with similar resources manage it. Yes, the Hippodrome is easy because it’s in the same complex, but it is a huge place to fill. Does everything have to be on the its main stage? What about the city’s other performance spaces? What about more choreographic opportunities for dancers in smaller-scale venues? I have no magic answers, by the way! But the problems in Birmingham run deeper than the repertory and programming. Talk to regular audience members and one senses something of a loss of the closeness that the company once enjoyed with its Birmingham audience in particular. The reasons are complex but, hopefully, Acosta, with his personal appeal and charisma, can reverse that drift. 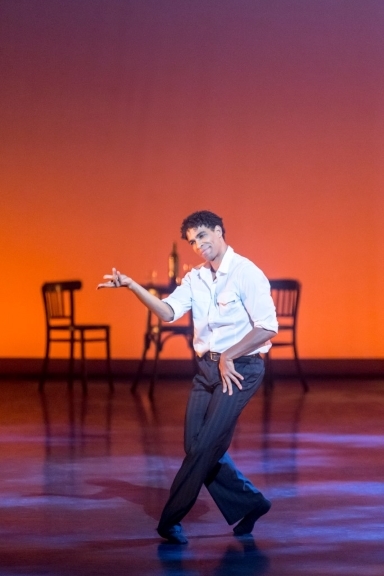 It’s hard to disagree with chair of Birmingham Royal Ballet, Sir David Normington, who described Acosta as the “greatest male dancer of his generation,” commenting also on his “legendary artistry, energy and charisma.” He may need all that as he strives to connect with new and existing audiences. Nothing is guaranteed, of course, and big-name dancers don’t always make great artistic directors. Look around and you’ll see that few do. They require a very different set of skills, after all. But there are shining exceptions and I hope Acosta can join them. There will be change. That is inevitable. I just hope that Carlos Acosta is given the space and time he needs, and the chance to consider everything. No-one wants to throw history away but just because something is, or was, or always has been, doesn’t mean it’s how it should be today.